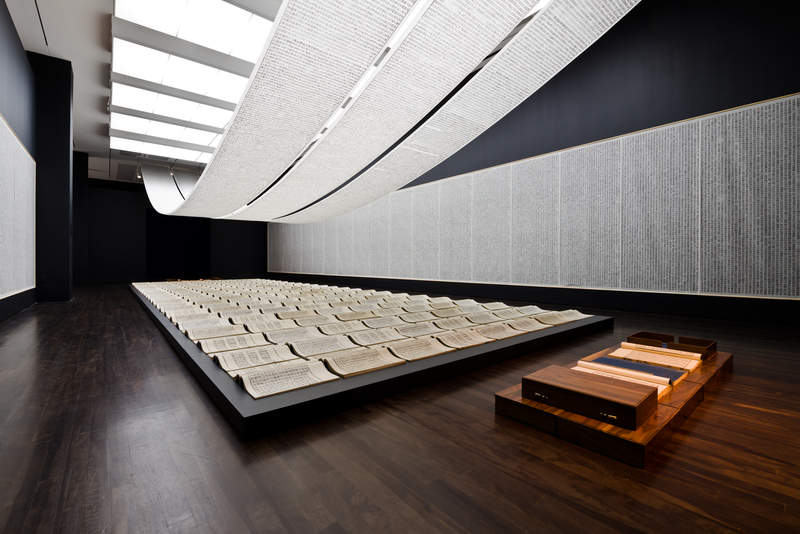 What is Xu Bing's impressive 'Book from the Sky' all about? 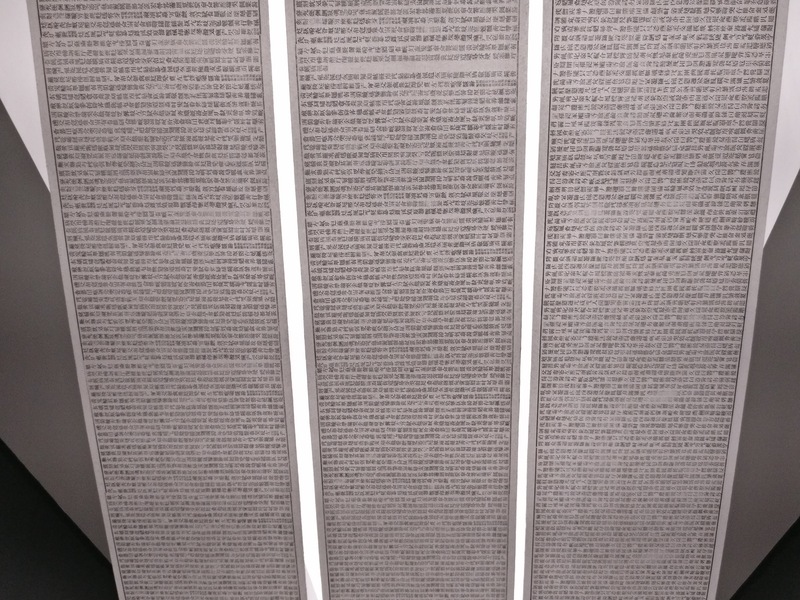 Is Xu Bing referencing manipulation during Mao Zedong’s reign? 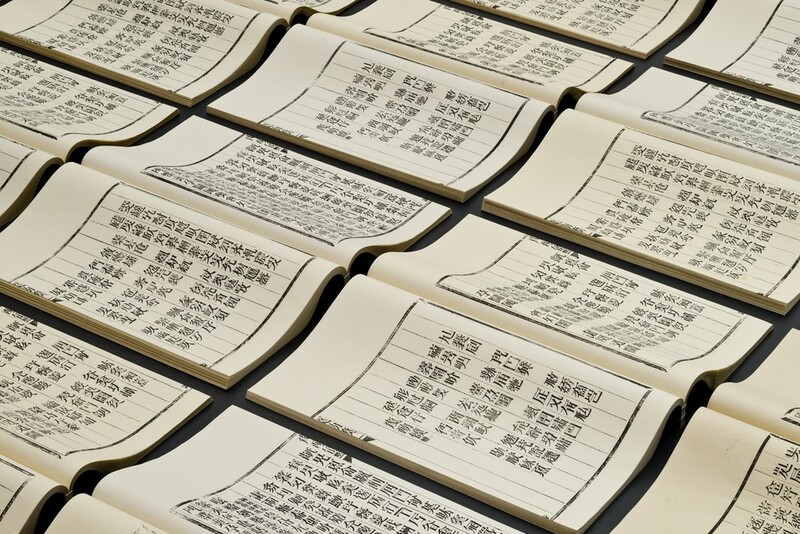 The Book from the Sky is one of the most intriguing Chinese art installations of the century, and the nifty work of none other than the celebrated Chinese artist Xu Bing. 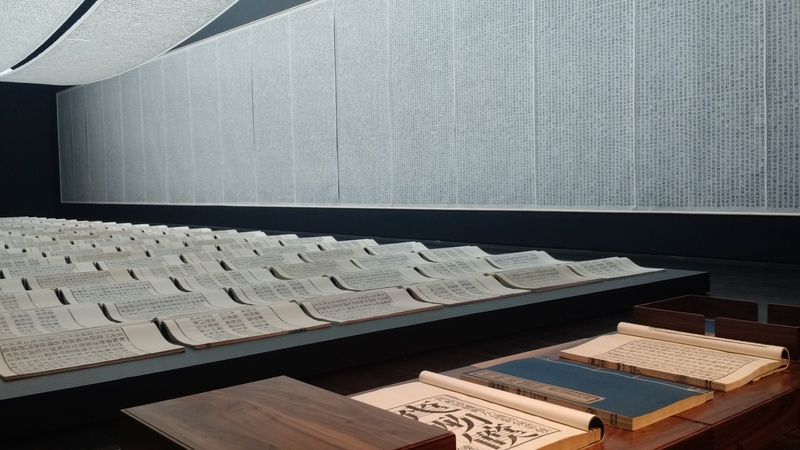 This installation comprises a set of 4 hand-printed books, as well as wall and ceiling scrolls printed in the style of a wood letterpress. 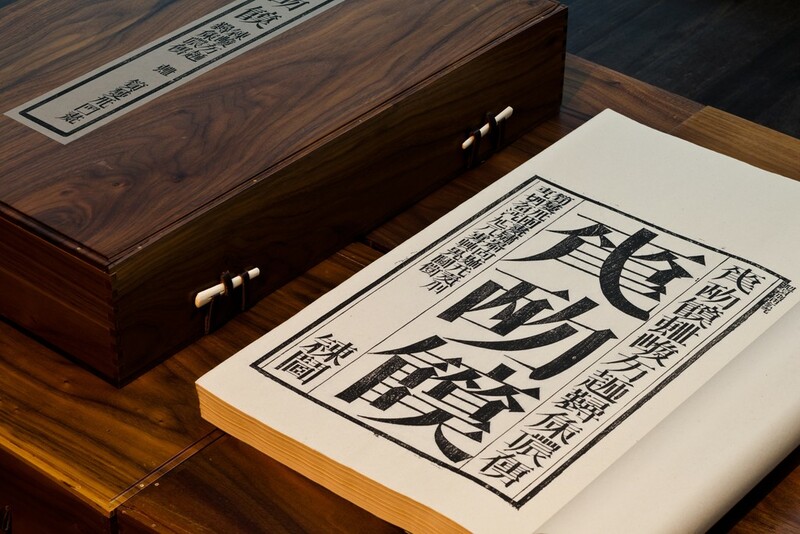 What’s more interesting is that these books and scrolls are filled with invented glyphs and pseudo-characters designed to mimic traditional Chinese characters. Produced in ca. 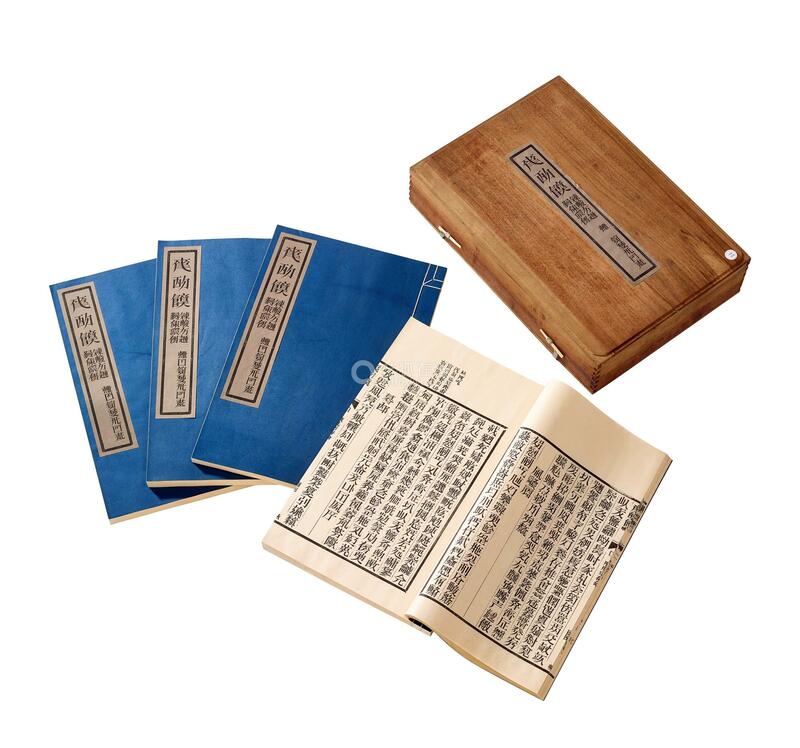 1987-1991 as a single print run of 126 copies, the book set contains four volumes with a total of 604 pages. 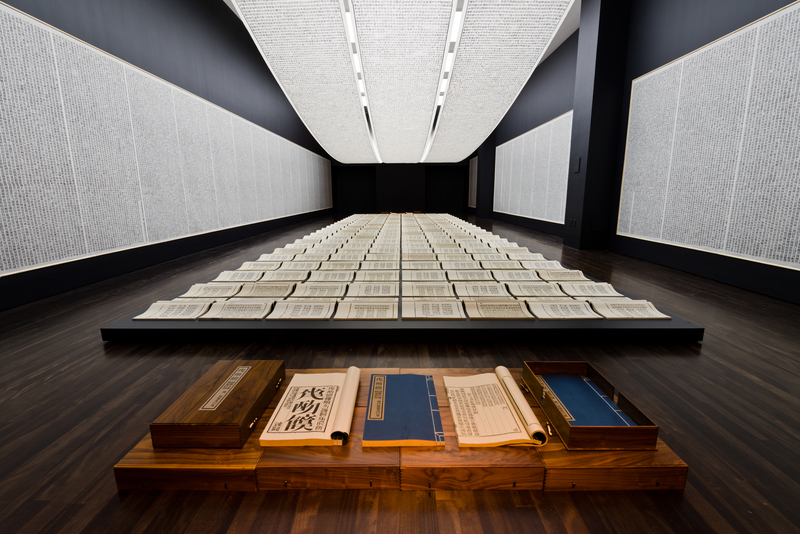 Xu Bing publicly exhibited Book from the Sky for the first time in 1988 at the China Art Gallery (now National Art Museum of China1) in Beijing. 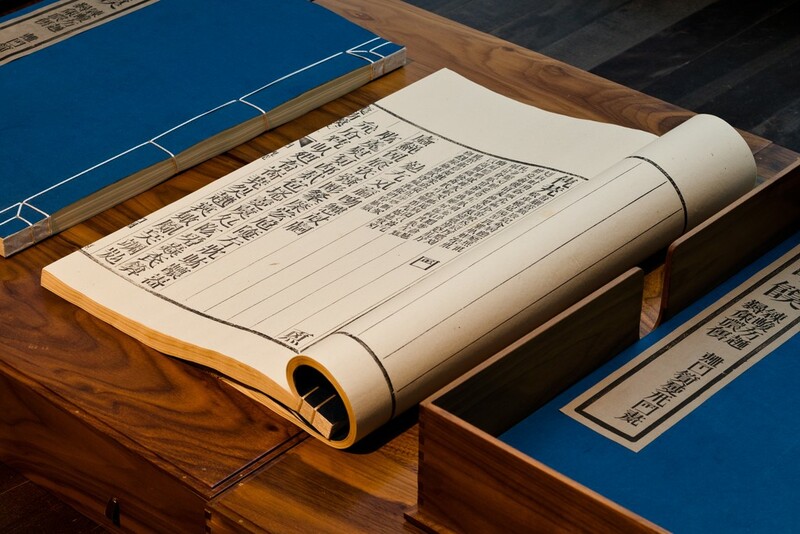 The books and scrolls were created using a battery of 4000 invented characters, which is intentionally close to the number of traditional Chinese characters. 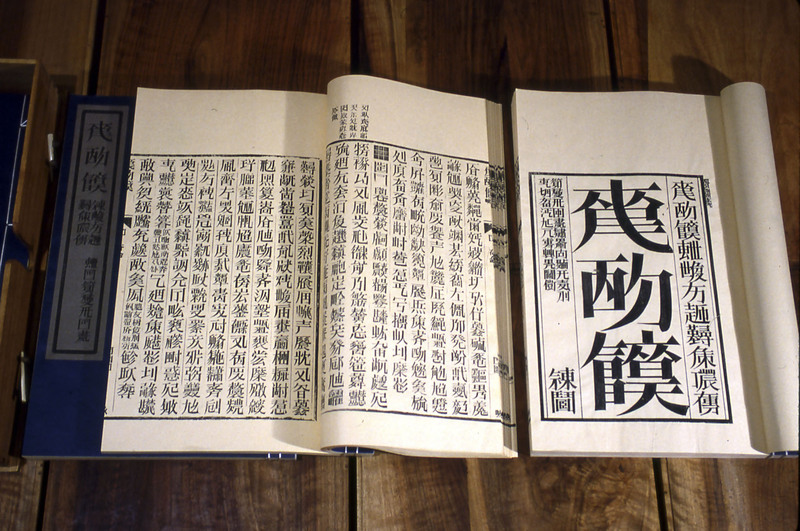 In fact, Xu composed these pseudo-characters based on Kangxi radicals2. That’s why they resemble traditional characters on the page and in terms of strokes’ density. However, there’s a slight squatter in the style of these characters when compared to common Chinese typefaces like Song3. This iconic ink on paper art was earlier titled Mirror to Analyze the World: The Century’s Final Volume before adopting its current title. 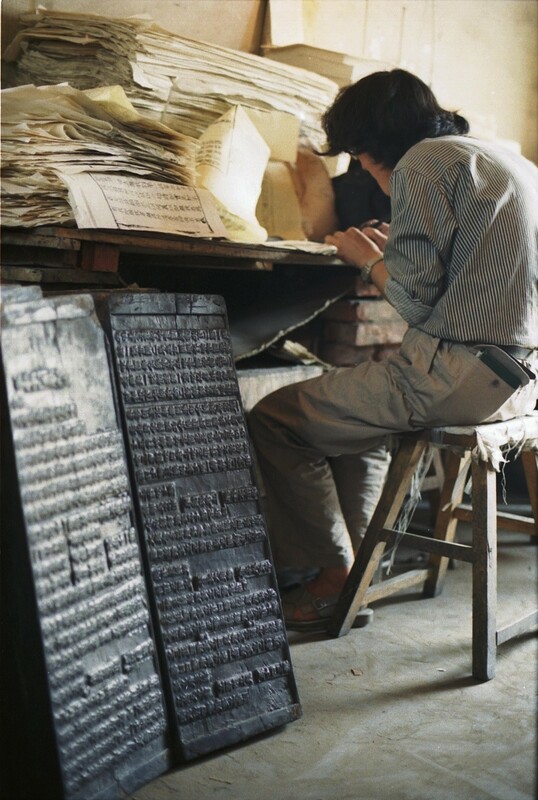 At one point, however, Xu Bing felt that Nonsense Writing would have been a more appropriate title. Despite countless scholarly reviews, its several exhibitions and popularity across the globe, Book of the Sky’s true purpose and meaning has remained elusive. For instance, the inclusion of the word “sky” in the title has been a huge source of tongue-wagging. Well, every critic, art lover and scholar is entitled to their own opinion and interpretation of this one. 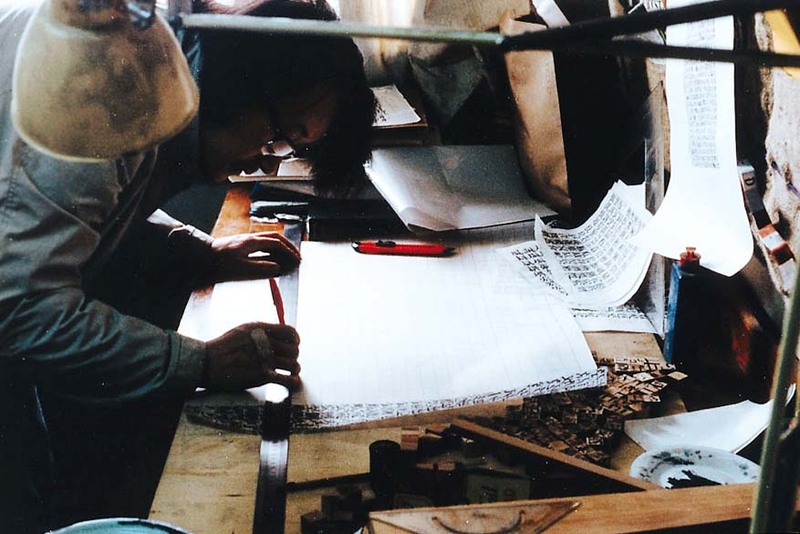 For most critics and scholars, however, Book from the Sky is a clever contradiction and manifestation of Xu Bing’s long preoccupation with text and language. It’s absurd that such an elaborate text can’t be read, making the books and scrolls meaningless to the reader. It is often thought that the work is his reflection of the manipulation and misuse of language and text during Mao Zedong’s reign4. 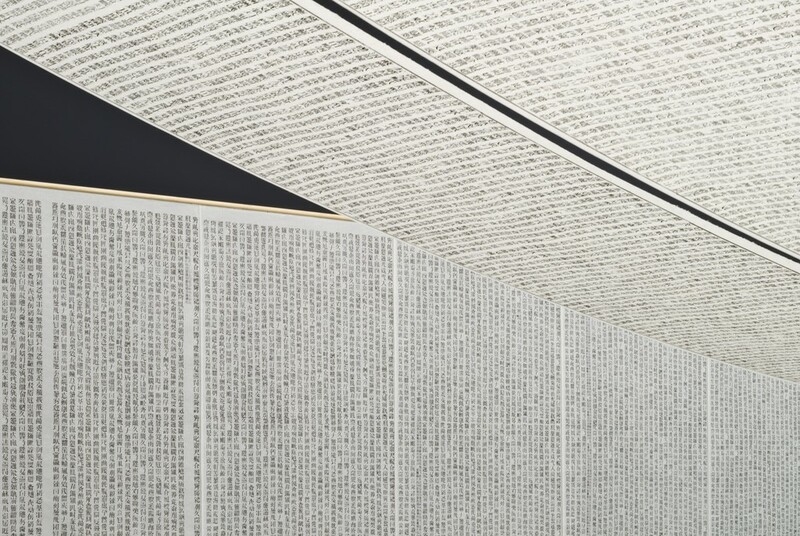 In a broader sense, the art installation provides the viewer with deep insights into the identity of Chinese people influenced by text. 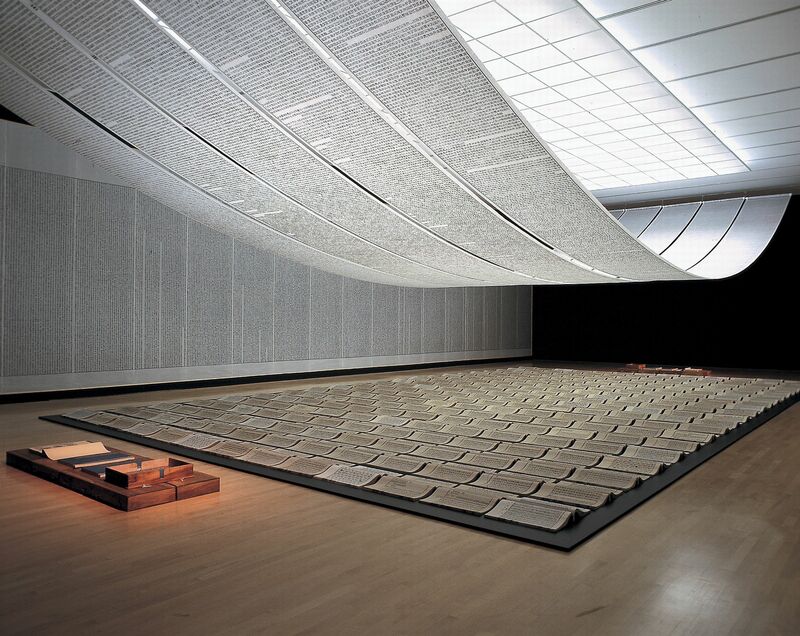 Born in 1955 in Sichuan Province, Xu Bing is a celebrated Chinese artist who grew up during the Cultural Revolution. After studying printmaking at the Central Academy of Fine Arts in Beijing, Xu relocated to the U.S. in 1990. 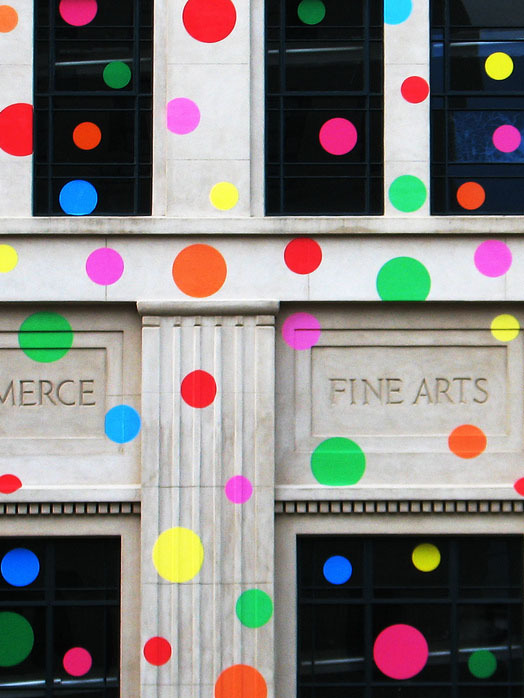 However, he returned 18 years later to teach at the Central Academy of Fine Arts. His work has been exhibited in museums and art galleries world over, most notably the Metropolitan Museum of Arts in New York and the Blanton Museum of Art in Texas. 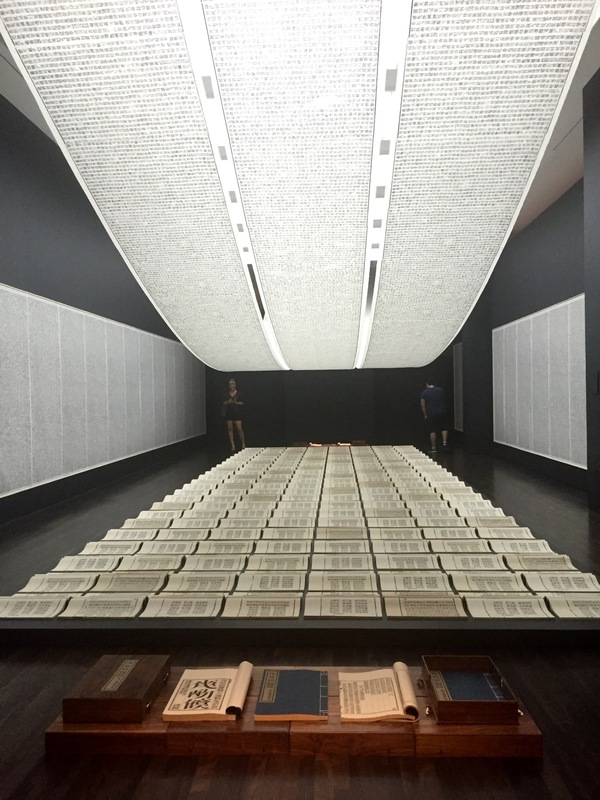 All images by Xu Bing/xubing.com unless otherwise noted. 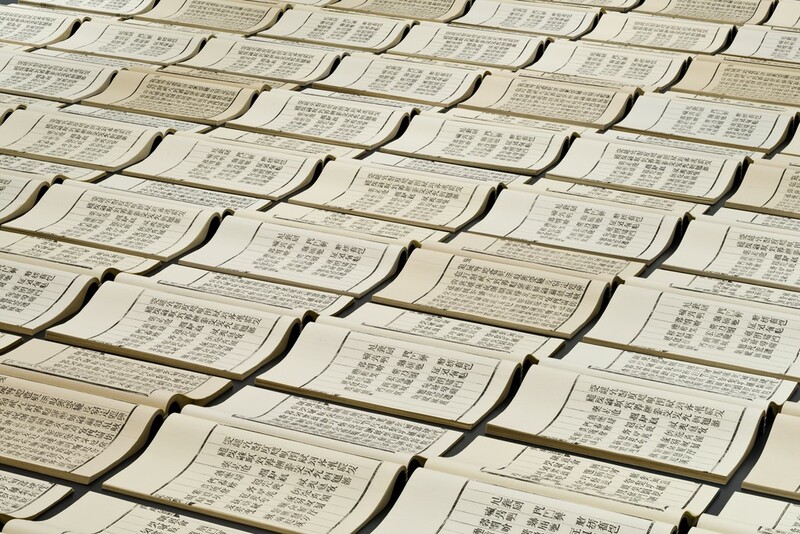 In this video, Xu Bing speaks about why he created a new and ‘meaningless’ language. 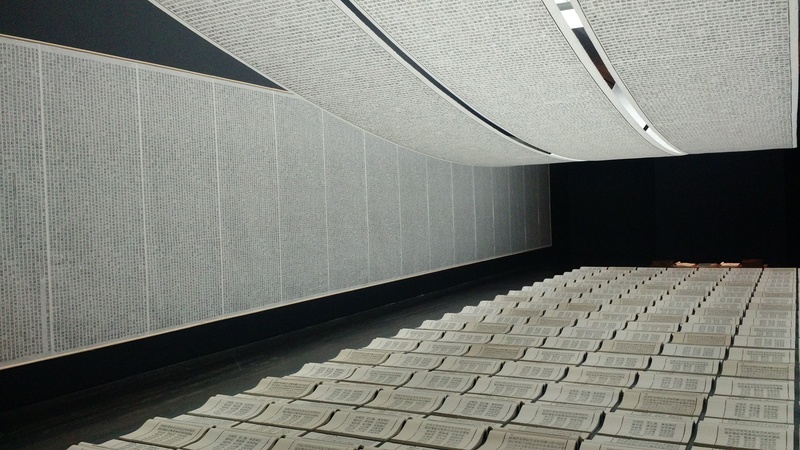 Home > Installation > What is Xu Bing’s impressive ‘Book from the Sky’ all about? 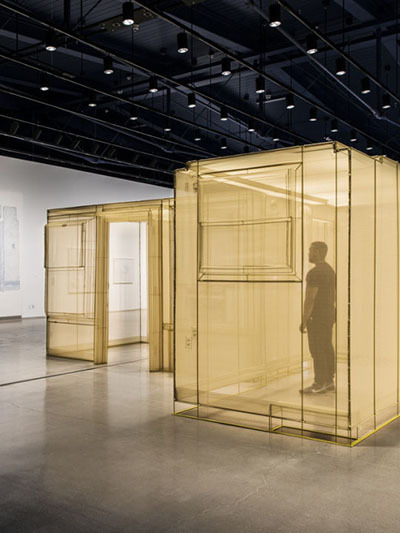 Posted on February 5, 2019	in the category Installation and tagged Art in Beijing, Art in China and by Chinese artists, Art in Texas, book, exhibition, museum, other, UCCA, Xu Bing.